In the Uipath,We need some extra tools and decorators While handling the Excel. 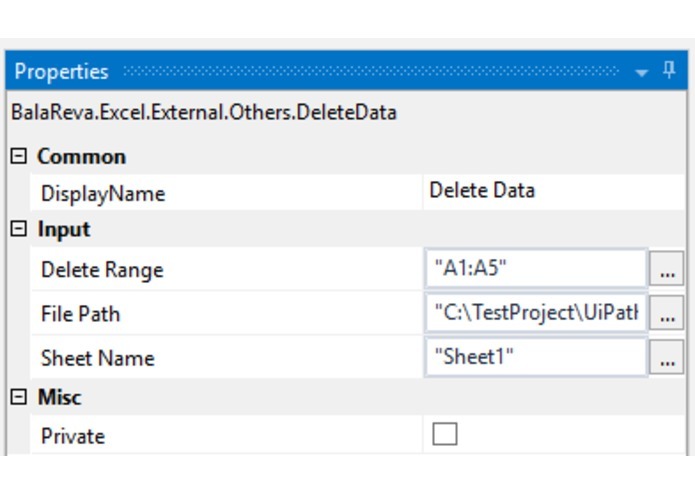 It gives a final touch up to Excel sheet. 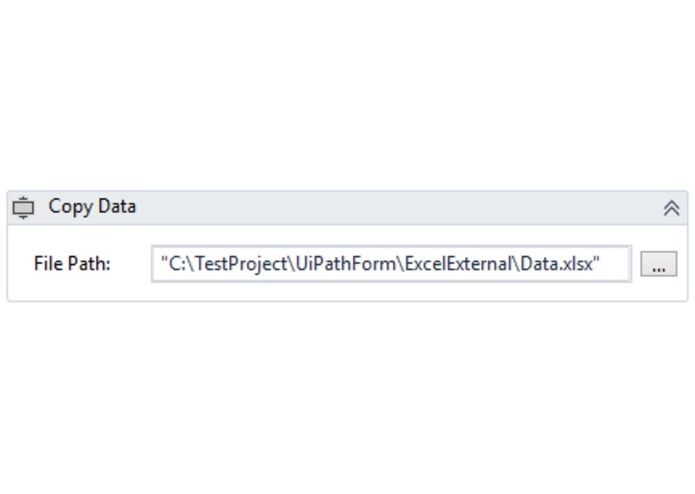 Sometime we need to bring the data from excel to outside of the application. We cannot define it. 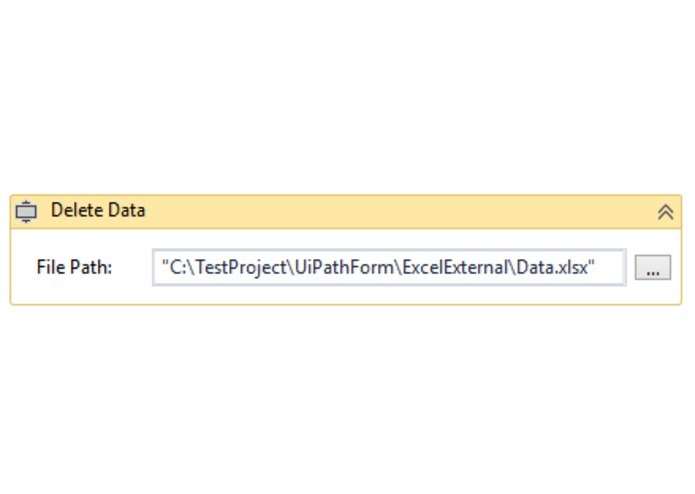 It could be a web application or a windows application. But commonly we can keep data in clipboard. 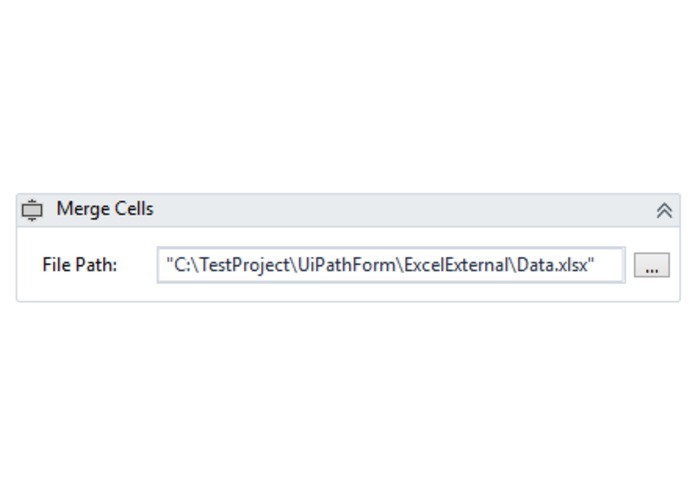 I have developed the package with activities called Excel External Activities. It solves the problem of the above situation. Below the activities details. 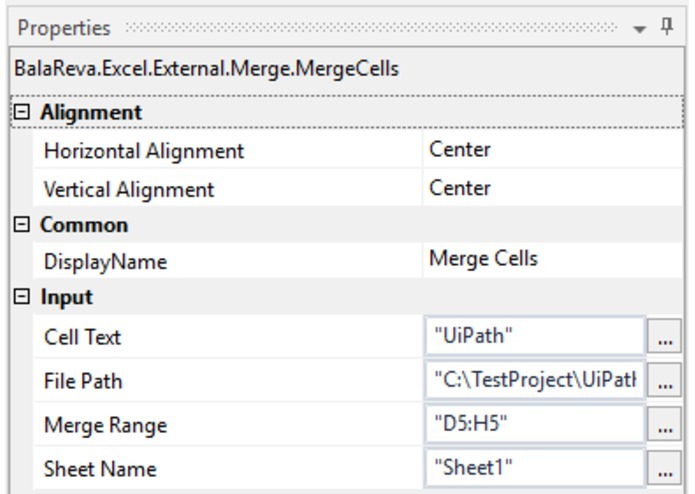 1.Merge Cells – Allows multiple adjacent cells to be combined into a single larger cell. 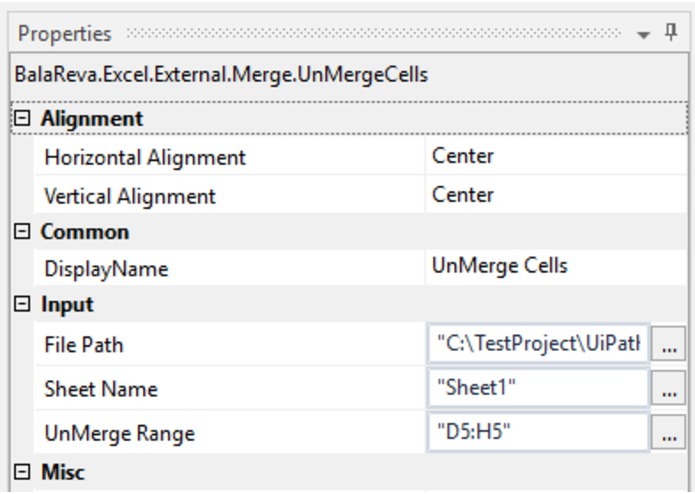 2.UnMergeCells - Merged cells are splitted into a single cell. 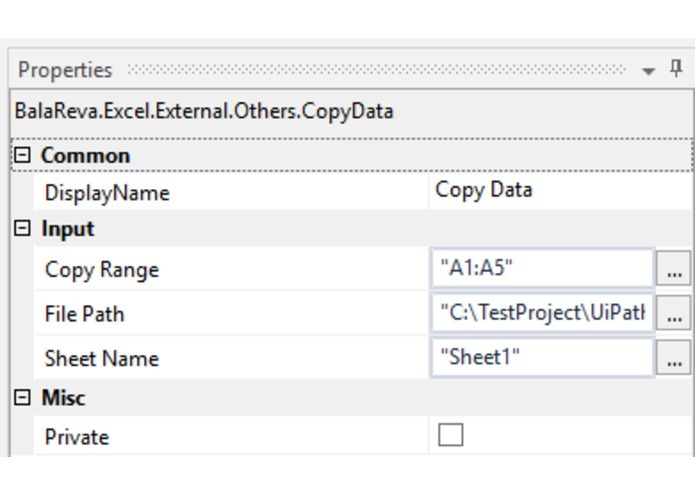 3.CopyData – To copy the selected range of cells data into Clipboard. 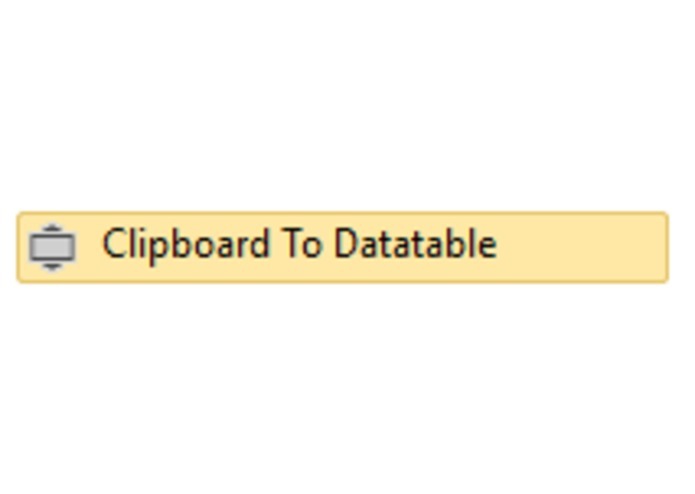 Even if it un-formatted also copied to clipboard. 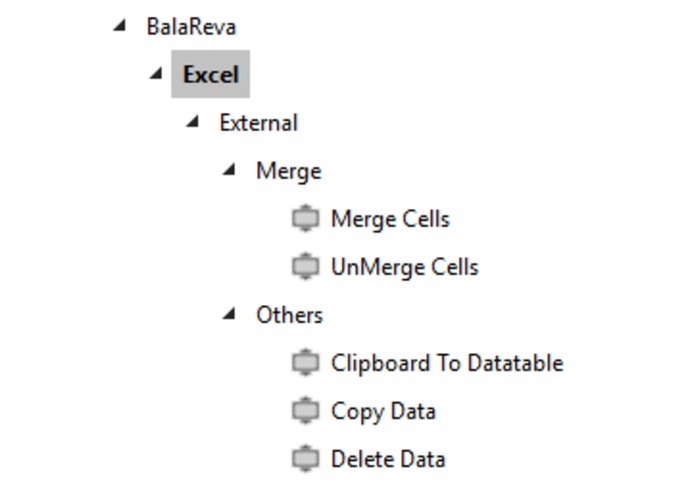 4.DeleteData – To clear the selected range of cells data. 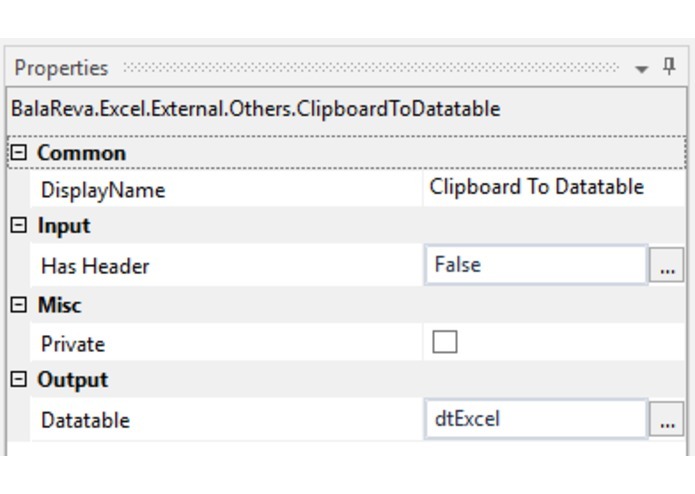 5.ClipboardToDatatable – Clipboard data (which is copied from excel sheet) convert to datatable.